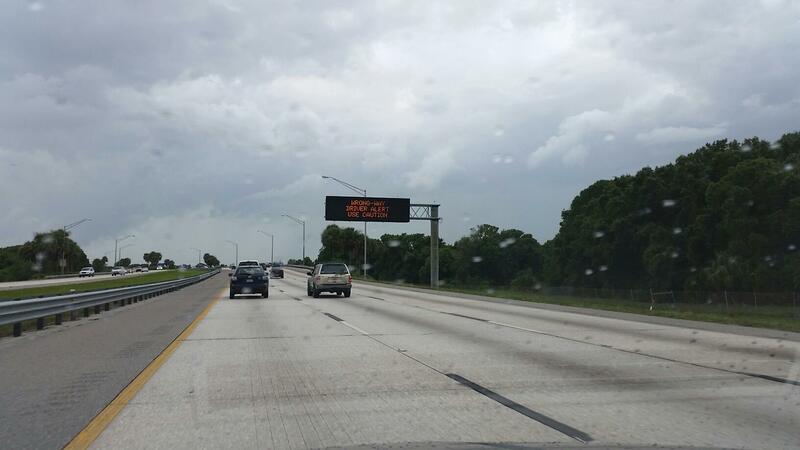 A sign on Interstate 275 in St. Petersburg alerts motorists of a wrong-way driver. In this preview, we hear from our guests Dr. Pei-Sung Lin with the Center for Urban Transportation Research (CUTR) at the University of South Florida, Matt Nasworthy with AAA in Tampa and Sgt. Steve Gaskins with the Florida Highway Patrol. STEVE GASKINS: Well, unfortunately, 2014 has been a very tragic year, especially dealing with the wrong-way crashes. Can’t really say why this year we’ve seen such the numbers that we have, but very tragic situations, and the FHP, local law enforcement and FDOT are trying to do what they can to eliminate these problems. CARSON COOPER: I’ve heard law enforcement in the Bay area say … they are scratching their heads. They have no idea why so many in such a short period of time. GASKINS: Frequently we have years where there’s very few that we have crashes to begin with or wrong-way incidents to begin with. So again, this year is an anomaly. But each one, I can say so far, it appears that alcohol is involved. We’ve confirmed it in many cases; the other two that we’re still waiting to get toxicology results, highly suspected that alcohol played a role in those crashes as well. COOPER: Have you as a trooper, personally, have you ever encountered a wrong-way driver? GASKINS: Over the years, yes. Not in a situation like we’ve seen where there’s been the fatal crashes, but over the years in which I’ve worked on I-95, I-75, I-10, throughout the state essentially. There’s been cases where people get on the wrong way. Typically, it’s a mistake on the driver’s part. They’re confused, turn around, it’s usually a very self-correcting, very fast, self-correcting problem that people realize, hey, I made the wrong turn, I’m going the wrong direction, and we don’t even hear about it. COOPER: Matt Nasworthy with AAA, some may know you from helping publicize programs like Tow to Go, which offers free rides during events like the Fourth of July and during the holidays to help keep drunk drivers off the road. It’s probably no surprise, as Sgt. 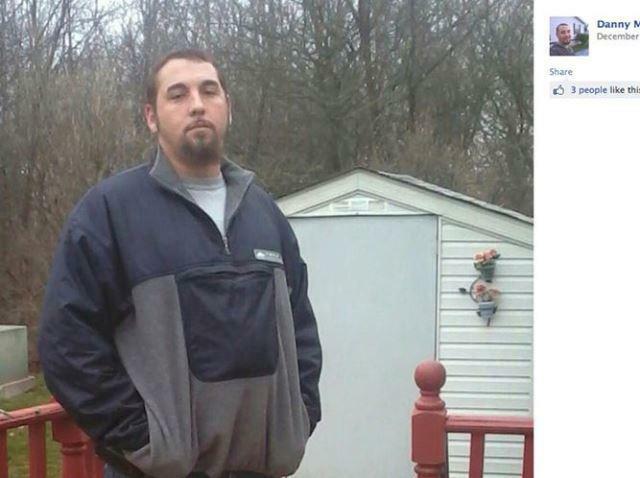 Gaskins pointed out, that all these wrong-way accidents involved alcohol or drugs. MATT NASWORTHY: Exactly, and it doesn’t go against what we’ve seen in the past. The National Transportation Safety Board did a study in 2012 where they looked at a number of these that have happened across the country, and they found that almost two-thirds of them were alcohol related, so it goes hand-in-hand with this sort of thing. COOPER: Dr. Pei-Sung Lin, you’ve also weighed in on the alcohol aspects of these wrong-way crashes, and you say bars and restaurants that serve alcohol need to do a better job to keep their drunk customers off the roads. PEI-SUNG LIN: We know that being impaired by alcohol is the number one reason of wrong-way driving. There’s a very good program here in Tampa Bay, in Hillsborough County called S.A.V.E. The enforcement agency will partner with the alcohol vendor and retailers to work together and to help the vendor to be better educated and informed about impaired driving by alcohol so they can work together to reduce the fatalities and injuries caused by the wrong-way driving. Hear more of the discussion about wrong-way crashes -- and about changes that may be coming to Florida roadways -- this week on Florida Matters on Tuesday, Oct. 7 at 6:30 p.m. and Sunday, Oct. 12 at 7:30 a.m. on WUSF 89.7 FM. 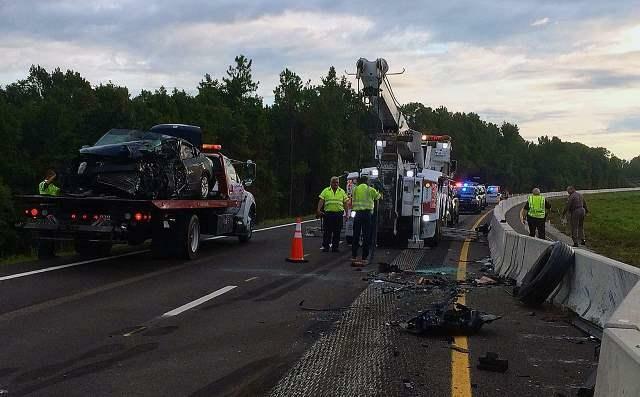 A wrong-way driver who killed himself and four University of South Florida fraternity brothers in a fiery head-on collision last month on Interstate 275 had a blood-alcohol level of more than twice the legal limit, according to an autopsy released Monday.